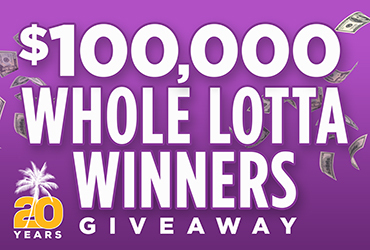 40 winners each weekend will win up to $10,000 cash at each drawing! Start earning tickets on March 30. Earn 10x entries Monday-Thursday.